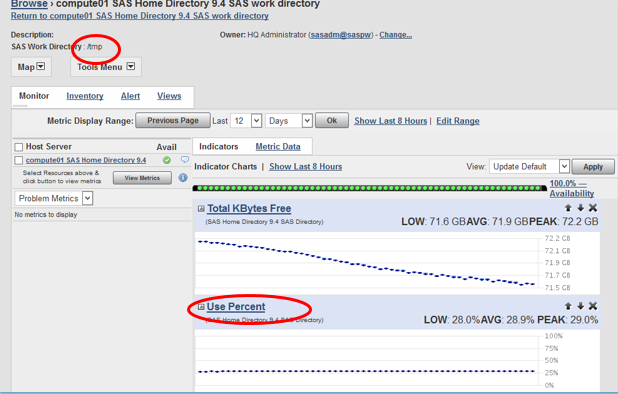 Everyone who codes with SAS knows what the SASWORK directory space is, and everyone who has ever managed a medium-large installation knows that you need to monitor this space to avoid a huge buildup of worthless disk usage. One of the most common snarls happens when large SAS jobs go bust for one reason or another, and the work space does not get cleaned up properly. Here’s a technique you can use, with the help of SAS Environment Manger, to get a proxy for the amount of disk space being used–it’s not perfect, but it’s better than being in the dark. Further, the SASWORK directory (or, “work directory”) can be located anywhere on the machine–it’s always some place outside the physical hierarchies of SAS Config and SASHome. 2. Go to the Dashboard interface, and add a portlet of type “Metric Viewer” to the interface. On the bottom of the right column, in the “Add Content to this column” portlet, choose the Metric Viewer option in the dropdown list and click on the plus “+” sign to add the new portlet. 2. It’s possible to use a resource type of “FileServer Directory Tree," point it at the physical SASWORK directory location, and get the total disk space being used, HOWEVER, this will not work unless the userID running the SAS EV agent has read permissions to all the subdirectories of the SASWORK area. Each SAS user gets their own subdirectory within the SASWORK area, and each user is normally the only one that has directory read permissions to their own work area. Therefore this solution would only work in a few unique cases, such as where the agent userID has specifically been given read permissions to the entire SASWORK directory. 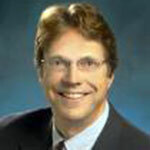 Dave has been a SAS employee for 16 years, first as a consultant and web developer. The last 10 years, he has served as a technical trainer for other SAS employees, specializing in web technologies, SAS middle tier, and more recently, SAS Environment Manager.